Waking up and craving a different view than your everyday bedroom window? Amari is here to deliver that backdrop of your dreams! From urban cityscapes to pristine beaches and picturesque mountains, you can take your pick. To aid your decision, here are our guests’ top picks of six Amari landscape heavens that’ll take your breath away! Imagine a casual dip in the pool, overlooking a view like this. We can make this a reality at Amari Vang Vieng with the addition of a cocktail or two! Now, wouldn’t it be a shame to miss out on this spectacular scenery? 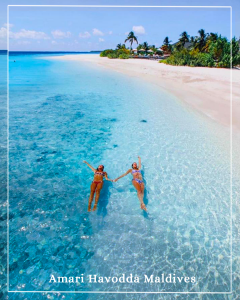 How can Amari Havodda Maldives not be on the list? With a sparkling ocean backdrop and skies as clear as day, you’ll never want to be anywhere else! It’s one of the most romantic destinations on earth. 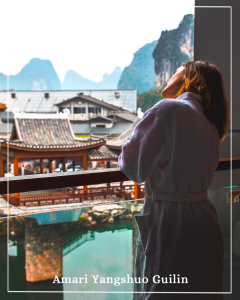 Yangshuo is called heaven on earth for a reason! Take a peek at the towering karst peaks, breathe in the fresher than fresh air, and basically…just have the time of your life. 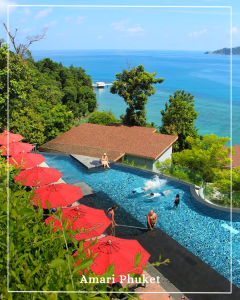 Set on a private beach against a backdrop of lush surroundings, Amari Phuket is the tropical escape everyone needs. 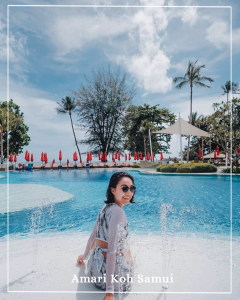 Amongst the countless snaps of Amari Phuket’s effortless beauty, we didn’t know which photo to choose! Think of a beach retreat, think of Amari Koh Samui. Sunny beaches, blue skies, soft sands that’ll tickle your toes, the three components that make up paradise! Come on, pack your bags and get going! An urban cityscape is just as magical! 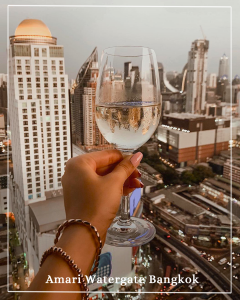 At Amari Watergate Bangkok, you’ll get to enjoy an oasis of calm right in the middle of Bangkok city. Surrounded by views of grand skyscrapers and vibrant streets, you’ll be living the glamourous city life!